In the past families living in Thailand who wanted a top-quality education for their children had to make the difficult decision to send their off-spring overseas. Khun Nusara (Assakul) Banyatpiyaphod, Chairman of Ocean Life Insurance and Hands Management Company Limited and Chair of the Board of Governors at Brighton College Bangkok, believes that times have now changed and the quality of education now available in Bangkok means that this difficult decision can be avoided. Her own experience of growing up in a loving family means she has a first-hand understanding of the importance of keeping the family bond strong. Her belief is that children should remain with their parents, particularly during the important pre-teen years, and this has driven her involvement in developing international education in Thailand over many years. 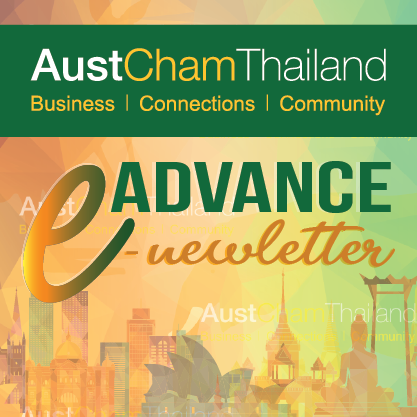 To many, she is known as a successful entrepreneur in the Thai life insurance industry, when in fact she has been wearing two hats for as long as she can remember. Her father (Kris Assakul) was the founder of St. Stephen’s International School in Khao Yai and then in Bangkok. When he passed away, Nusara took over a management role in these two schools, before heading up the opening of Brighton College Bangkok in September 2016. Nusara believes that education is the foundation of an individual’s future success and shapes the way people think and perceive the world for the rest of their lives. It is this belief that has led to her being at the forefront of developing international education in Thailand, which is turn helps to improve domestic education standards. One of the key benefits of an international education is the importance these top schools place on recognising each pupil as an individual. Nusara credits this as encouraging and supporting children to take risks, to try new things and to become the very best version of themselves possible. Alongside celebrating each child, the focus on developing global citizens, those who will become the leaders of tomorrow, is widely cultivated among the international schools in Thailand. Due to their setting and make-up of the pupil body, this is arguable achieved more successfully than at schools located in those countries where children were traditionally sent for schooling, where there is a lesser degree of internationalism. By global, however, Nusara believes that both Western and Eastern ingredients are now required in the educational mix. For example learning a language beyond a child’s native tongue (and English) should be mandatory; being proficient in Mandarin Chinese will, she believes, open up significant opportunities in tomorrow’s world. Another vital component for getting the most out of education is to inspire children to love learning for its own sake, and teachers play a major role in achieving this. Teachers who are outstanding practitioners as well as having interests and experiences from outside the classroom are the best role models, helping children to discover what they do best and pursue their distinctive set of talents. Coupled with achieving academic excellence, the best schools also understand the importance of pupil wellbeing. Pupils should be encouraged to embrace interests outside the traditional academic arena such as art, music, drama, dance and sports and community activities as a happy child is a successful child. Nusara is confident in developments in the Thai education system as it moves in the direction of education 4.0. This will cultivate children who are comfortable to collaborate with their peers, who are compassionate and inclusive to other human beings regardless of their nationality, background and beliefs, and who want to continually broaden their horizons, preparing them for the life’s future challenges. In line with STEM education, as advocated by Prime Minister Prayut, Nusara agrees that this concept should be incorporated into all school curriculums. Apart from Science, Technology, Engineering, and Mathematics however, she also believes that Art should be added into this group, since Art is the root of our creative thinking. Such an integrated education, that removes boundaries between subjects, will help improve a child’s perception and comprehension. In reality, knowledge is limitless and things are all interconnected. Consequently, curriculum areas should also naturally be linked with one another and children encouraged to develop their skills in problem solving and critical thinking. “After all that’s the way our brain needs to work in real life,” Nusara states. The growth in top quality international schools in Thailand has meant children living here now have access to educational opportunities that will support them to become well-educated, open-minded, respectful and intellectually curious young adults, without having to leave their families at an early age. Nusara hopes that her contribution in promoting such an education, one that offers a healthy balance between academic achievement and pupil wellbeing, will also play a part in raising the bar for education across the Land of Smiles. Emma Goligher, Head of Marketing, Brighton College International School. Prior to arriving in Bangkok in 2009, Emma worked at one of the UK’s largest communications agencies. In Bangkok she has been involved in international school marketing for the past eight years, most recently working in the startup team at Brighton College Bangkok, where she is the Head of Marketing. Emma is the mother to two children and uses any spare time to enjoy reading, baking and swimming, although not necessarily all at the same time.